Jesuit Summer Bridge is underway, launching its 8th year of making a major impact on dozens of local middle school boys in an instructive and nurturing environment. 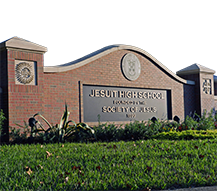 The 5-week program (June 11 to July 13) is led by Jesuit High School faculty and staff, including Jesuit Summer Bridge principal Paula Collazo, and it is packed with learning, activities, and fun. 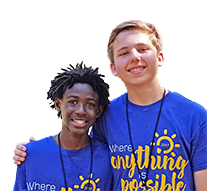 As it does every year, Jesuit Summer Bridge is bringing together more than 40 conscientious middle school students from about 20 schools, mostly Hillsborough County public schools, to experience the comprehensive summer program. Each morning includes focused academic instruction in three areas – math, critical thinking, and language arts (grammar/reading) – mixed with an array of specialty sessions such as robotics, art, science/math labs, cooking, and recycling, plus guest speakers, Bricks4Kidz, and more. This week the specialty session is robotics. Jesuit engineering teacher Lauren Hescheles and several members of Jesuit's award-winning Stealth Tigers robotics team are working daily with the students. The Jesuit Summer Bridge theme this year is "Lord, teach me ... " which is the beginning of the Prayer for Generosity by St. Ignatius of Loyola, the founder of the Jesuits. While the middle school students are boosting their academic foundation at Jesuit Summer Bridge, they also are making friends and developing leadership skills. 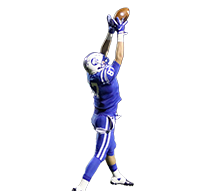 Each day concludes with an elective activity – many choose sports such as soccer and touch football – and the program also includes two field trips. Friday, they will spend the day at Clearwater Marine Aquarium, and a bowling outing is planned for July. 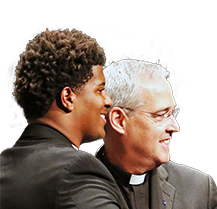 In addition to Collazo, who is a Jesuit math teacher, Jesuit admissions director Steve Matesich '91 is the Jesuit Summer Bridge coordinator, Fr. Francis Brou, S.J. 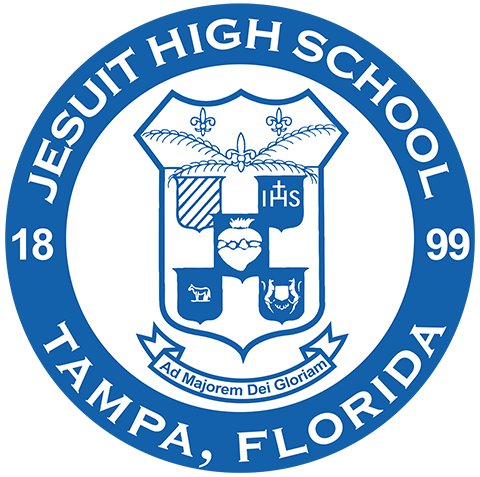 is the chaplain, Jesuit alumnus Jake Pedrero '12 is the language arts teacher, Jesuit science teacher Jonathan Barlaan '07 is the critical thinking teacher, and Jesuit math and science teacher Evan Jenkins is the math teacher. 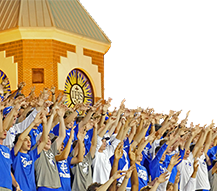 Other Jesuit teachers assist with electives, such as Hescheles and Fine Arts department head Kevin Ball '03. 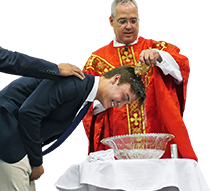 Several Jesuit students and young alumni serve as Jesuit Summer Bridge counselors, including some who also are Summer Bridge alums. The counselors this summer are Luca Bruno '19, Christopher Chang '19, Miguel Coste '19, Joseph Gonzalez '19, Cameron Manck '19, William McGill '19, Thierry Moliere '18, and Jeremiah Nichols '19. "We've got a wonderful group of students, counselors and teachers again this year – we are off to a great start,'' Collazo said. "We are excited about helping the students form their academic foundation for high school, and helping the development of the whole person with every student. We want them to return to their middle schools better prepared as students and as leaders among their peers." 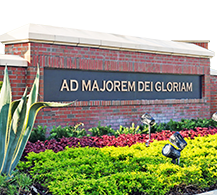 Jesuit Summer Bridge is offered at a steeply discounted cost to the participants and is supported in part by the Tiger Lilies, the club comprised of mothers of Jesuit alumni. The students are tested at the beginning and end of the program, demonstrating their improvement every summer.